There are 8 posts in this thread, and it has been viewed 5627 times. 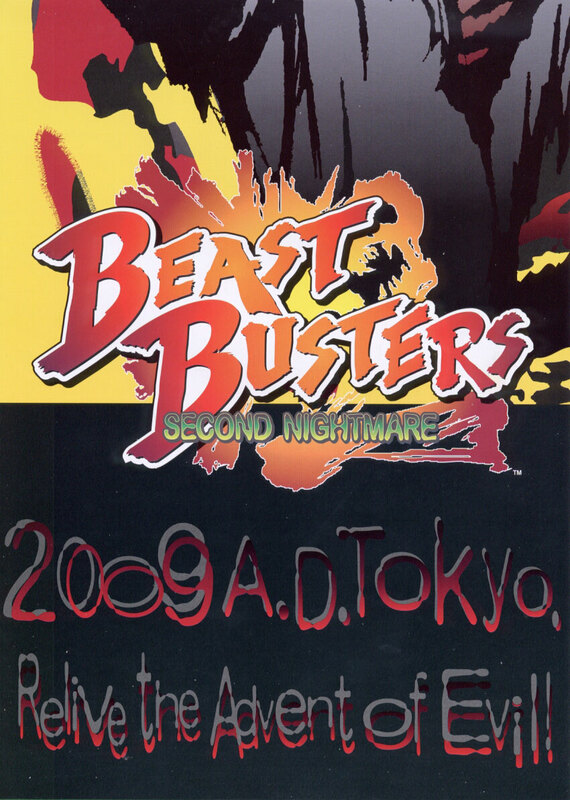 So...How does Beast Busters 2 stack up from the first one. I installed the android version recently it was how would I say without swearing ? Very lack lackluster but I never played the original with a gun so I cannot really comment on the original. Hyper 64 games I actually don't think I have played a single one used to see them for sale all the time on ng.com with most of the games included. ^I see, but I won't go into the mobile version (And/IOS) just yet, as it stands, I dunno if its a sequel, or a new story to it, but in any case, it features KOF stuff, so that's...something. If you can put up with all the menus pop ups etc , it's worth a install but personally i rather just buy one of the snk paid apps there all almost perfect ports just with better menus. 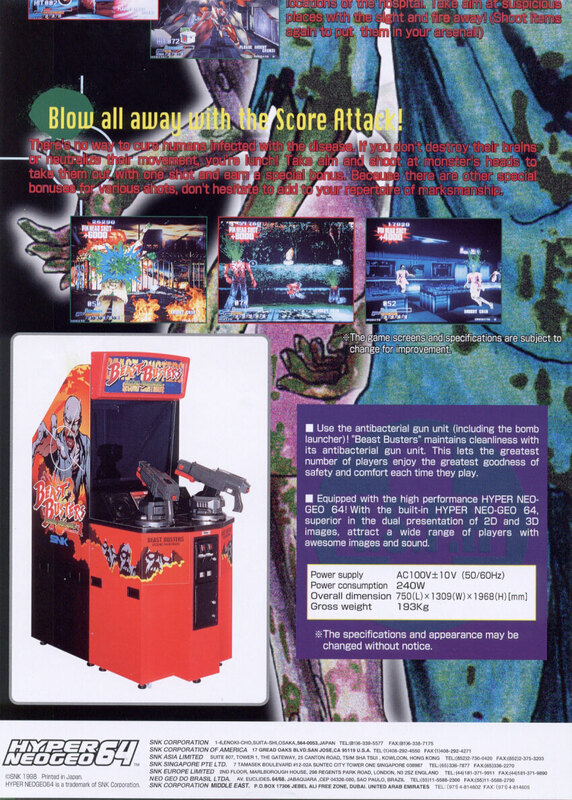 Sadly this one was never properly emulated and since the Hyper Neo Geo 64 wasn't so widespread and well received anyway, I've never got my hands on this actual one. It does seem quite good judging from the footage, but Sega's House of the Dead series definitely steals SNK the show on this genre. Anyone of you played the real deal back then? 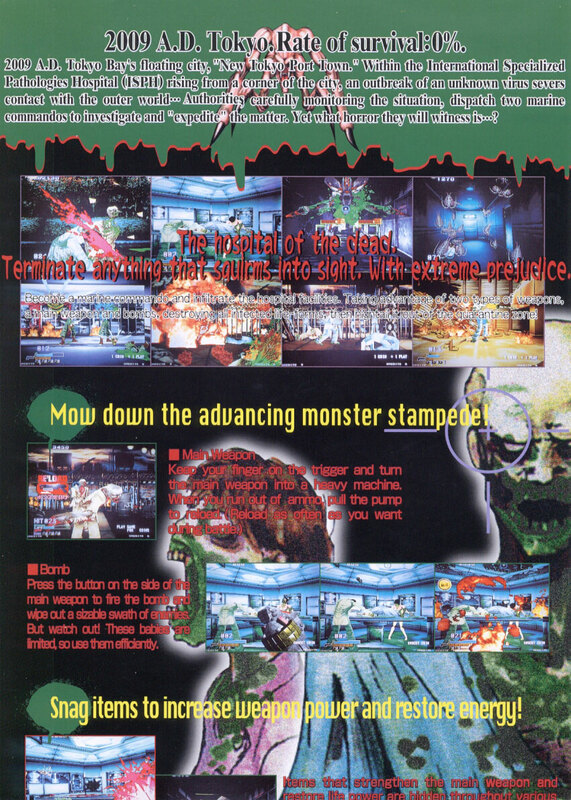 No, wish I knew about this, but the only time I tried out the Light Gun titles were mostly the usual ones...HotD and Time Crisis (and some of the known or unknown niche titles). This looks like poo, even for 1990-whatever. There doesn't seem to be an overall theme here, other than a pure generic landscape, and the enemy placements lack direction. It is also running a little slower than what an action game of this scheme should be, to my eye. I imagine Second Nightmare being tolerable when played co-op though. Never played it, and no thanks! No intention to. With that said, the overall design is meant to be very addicting. Medals buy randomly generated power ups (some that are more rare and useful than others), which reminds me of my collectable card game days. It is also worth saying there are two versions: a F2P (Free to play with in-app purchasing) and one-time payment. I think you are judging the game based off the F2P version, which is indeed a cruddy game. The one-time payment version (called Deluxe) is said to be more balanced with medal drops, which really moves the gameplay along. However, I believe the one-time payment version is an iOS exclusive.